I recently replaced the hard drive on XPS 15 L521x laptop, with Windows 7 operating system. I used factory restore disks to reinstall Windows 7, and then downloaded all current updates. Now the touchpad does not work. On Control Panel, I went to Hardware and Sound. Under Devices and Printers I clicked on "Mouse". This took me to a page titled "Mouse Properties." I clicked on the tab for "Dell Touchpad." This took me to a picture of the touchpad. Under the picture, there is a link that says "Click to change Dell Touchpad settings." This took me to a screen that says "Dell Pointing Devices." This screen has a place to turn the touchpad on or off. I clicked "on", and it lit up green. Then I clicked where it says "Save." But the touchpad still does not work. Is there anything else I can do to make the touchpad work again? Do the touchpad left and right buttons work? Does an external mouse work fine? Kindly check if the touchpad is detected in device manager under mouse and pointing devices. Restart the system and press f2 on startup to enter BIOS - check if the touchpad works fine while in BIOS. Restart and check in safe mode if the touchpad works fine. Update the BIOS - http://dell.to/2aYm4Hw- reinstall the touchpad drivers - restart and check. The right and left buttons on the touchpad do not work. An external mouse does work. As I indicated in the original description, the touchpad is recognized on the system in "Mouse Properties" under the "Dell Touchpad" tab. And it offers the option to turn the touchpad on or off. But the "on" option does not seem to activate the touchpad. I will work my way through your suggestions as best I can, and report back. Thanks again. I tried to follow your instructions. The touchpad did not work in BIOS or in safe mode. I ran the Diagnostics and there were no errors. I connected with the link you gave me. First I updated the BIOs. That seemed to work. Then I tried to "reinstall the touchpad drivers". The only driver that I could find on the link you sent me that seemed to be relevant was called Dell Touchpad Driver, version 18.0.0.3, A06, dated 2/5/14. When I tried to install this driver, I got a message that said I needed to remove the existing touchpad driver. So, I went to the Programs and Features list in the control panel. There was a driver there called Dell Touchpad, or something like that. So I uninstalled it. Then I installed this new driver. It shows up in the list of drivers in Programs and Features with the name "Synaptics Pointing Device Driver." I don't know where to find the driver that I uninstalled. It was called Dell Touchpad or something like that. It didn't work either, so maybe it doesn't do any good to find it again. Thank you for any other ideas you may have to fix this problem. The external mouse still works. If the left and right buttons do not work as well, then I suppose the issue could be hardware related. Now, when you replaced the HDD and reinstalled the OS on the system, did the touchpad / left + right buttons work during installation? 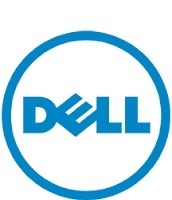 Download the service manual here - http://dell.to/2bMDJBs - and reseat the palmrest cable and check if it works. If it still does not work, I suppose the touchpad might be faulty and the palmrest needs to be replaced. If the replacement palmrest also does not work, the palmrest controller might have failed and the motherboard needs to be replaced. I used the external mouse when I installed the OS because the touchpad did not work. But the touchpad was working fine before I replaced the hard drive and restored the OS. It seems unlikely to me that the parts failed at this particular point in time when they were working before. Thank you for your suggestions. I would suppose that might have been a co-incidence of the touchpad failing. Have you tried reseating the palmrest assembly as suggested earlier? If it still does not work, you would need to replace the assembly and check. I looked at the portions of the service manual that you identified, but those procedures are beyond my abilities. I will look into having the computer repaired. You could take it to a local shop to get it check. Or you could contact our support team via the link provided in my previous post and get it repaired.